For a person who has no experience about fashion, just go to fashion weeks, and analyze the runway trends are not the thing that enough to be a designer. 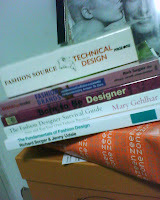 So, reading fashion books (not magazines) is kinda of a must thing to do, so I possibly know my directions. I select my favorite books.I'm still reading them,try to understand those lessons..and practice something is my own ways.. It's a good start to know the basic. So good to read this book. There are many advises from both the writer, and leading designers of the world. I got this book last year. My mom paid for the book at first place (;-p)In the book, there are many silhouette of the clothing..so you know exactly how to call, one piece of clothe. 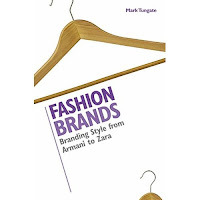 NO.4 ::Fashion Brands.by Mark Tungate:: His researches are awesome. I gained many things from this book even I have the Thai edition.I do understand what he try to tell and teach at the same time. 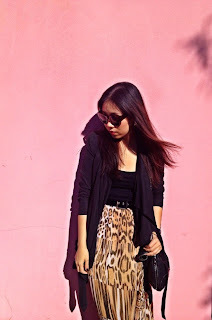 Besides, I learn some fashion history from his research as well. 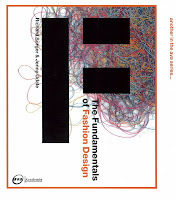 NO.5::BORN TO BE FASHION DESIGNER::This book has only Thai Edition because the book represents Leading Thai designers. 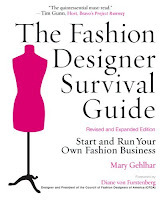 It is inspired book to know their different background but same passion in fashion. After I almost with them.I think I'll try to buy more..I know that there are not many space in my room.What can I do?! Just go for it!!LoL! !